Tired of your bank’s checking account draining your funds with various fees, lack of features, and keeping you limited on what you can do? 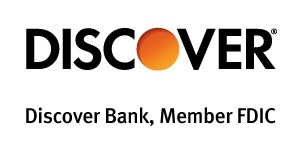 Try banking with Discover Bank Online! Discover Bank is offering you a chance to earn 1% cash back on up to $3,000 in debit card purchases each month when you open their Discover Cashback Debit account. Anyone can sign up for this account and earn up to $360 each year. With over 60,000 free ATMs, your money is right around the corner. Always near by. Everything you want from a bank, without ever setting foot in one. Disclosure: ATM transactions, the purchase of money orders or other cash equivalents, cash over portions of point-of-sale transactions, Peer-to-Peer (P2P) payments (such as Apple Pay Cash), and loan payments or account funding made with your debit card are not eligible for cash back rewards. In addition, purchases made using third-party payment accounts (services such as Venmo® and PayPal™, who also provide P2P payments) may not be eligible for cash back rewards. Apple, the Apple logo and Apple Pay are trademarks of Apple Inc., registered in the U.S. and other countries. In addition to the current promotion from Discover Bank, you can also take advantage of a range of great promotions from banks such as HSBC Bank, Chase Bank, Huntington Bank, Discover Bank, TD Bank, BBVA Compass Bank or CIT Bank. 1 Why Open A Discover Cashback Debit Account? Why Open A Discover Cashback Debit Account? Other banks charge you for checking. Discover Bank rewards you. Earn 1% cash back on up to $3,000 in debit card purchases each month. Get started and open a new Discover Cashback Debit account today. Discover Bank will need your address , phone, email and social security number (or other taxpayer ID). Funding can be done now or later. It’s up to you. Discover Bank will send a confirmation email, then watch the mail for your debit card and your checks (if requested). Reach someone helpful 24/7. Call 1-800-347-7000! Out of the many checking accounts available at your local bank or an online bank, Discover Cashback Debit account would be one of my top picks. Give Discover bank a shot. Their customer service is phenomenal and with over 60,000 free ATMs, it’s never hard to find a place to get cash. If you’re interested in more info regarding Discover Bank Online offers, check out our full listing of Discover Bank Online Bank Promotions. Be sure to check back on BankDealGuy for more bank promotions!